Pesi : Treaty of Waitangi..
For the next ten days we are learning about the Treaty of Waitangi. 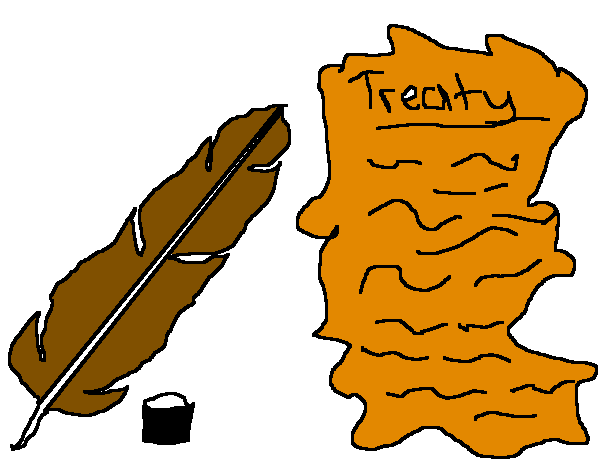 But so far I've learnt that the reason why they sign the treaty is to make peace between Maori and Pakeha. But way before the treaty was signed Pakeha and Maori did some trading, Pakeha people traded Muskets for food but the one of the people that I know who signed the treaty was William Hobson was representing the Lieutenant-Governor. Hone Heke was a Maori person that I know who signed the treaty.